The Volcanology and Disaster Mitigation Center PVMBG raised the alert status for the volcano to level 3 on a scale of 1-4. 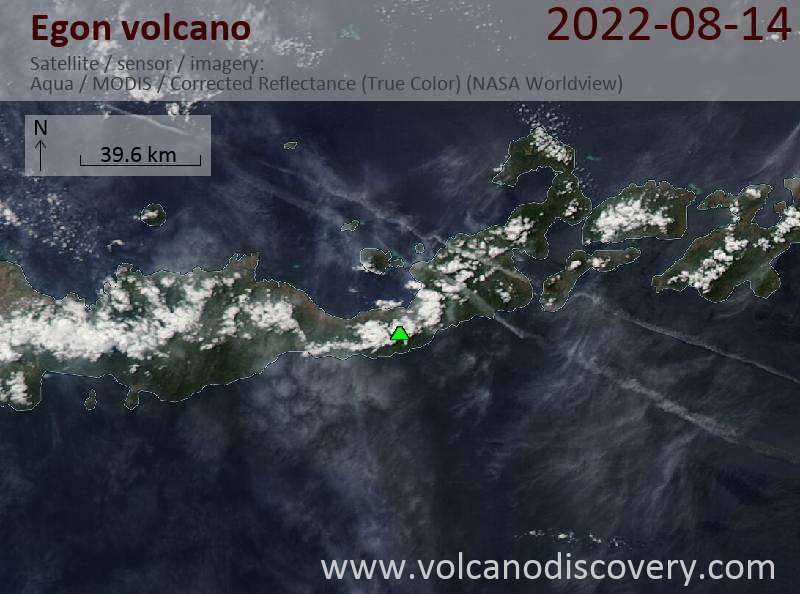 Renewed activity occured at Egon volcano (Lesser Sunda islands, Indonesia) on 6 and 7 February 2005. The eruptions were preceded by an increase in tremor, and consisted of the ejection of "glowing lava" and lapilli-sized material deposited on the volcano's S flank. 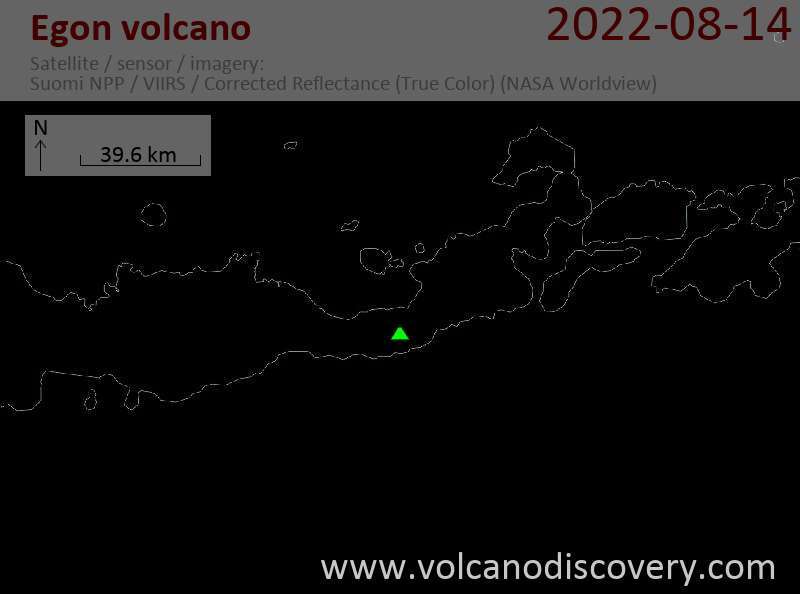 A new fissure on the volcano's souther slope was detected streching down as far as 1000m from the crater. Before and after the 7 February eruption there was a strong scent of sulfur in the villages of Hebing and Hale. One villager was knocked unconscious due to the gas. All of the vegetation along a fissure on the volcano's S flank had died, also indicating that there was a strong gas emission.